Sony has officially launched two new Xperia smartphones – the Xperia L and Xperia SP. The Sony Xperia SP is a device with a 4.6-inch display that works at 1280 x 720 pixels and makes use of Mobile BRAVIA Engine 2 – a technology that improves the images on the display. Inside the smartphone hides a dual-core Qualcomm Snapdragon S4 MSM8960 Pro processor at 1.7 GHz. The Xperia SP has 1 GB of RAM, 8 GB of storage and makes use of a microSD card slot for expansion. The list continues with Android 4.1 Jelly Bean, support for Bluetooth 4.0, DLNA, MHL, Wi-Fi, LTE, GSM GPRS/EDGE, UMTS, HSPA+ and finally there’s a built-in GPS receiver. 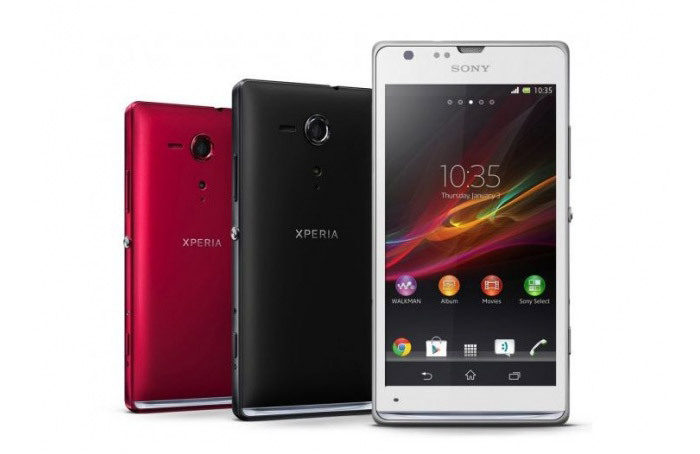 The Sony Xperia SP will be available in black, white and red when it ships in Q2 2013. Pricing is unknown. The other newcomer – the Xperia L – is a more budget-oriented solution based on a dual-core Qualcomm MSM8230 processor at 1 GHz. The Xperia L has a 4.3-inch display at 854 x 480 pixels, 1 GB of RAM and 8 GB of internal memory that can be expanded via the built-in microSD card slot. The Xperia L also has a rear 8 MP camera and a front camera at 0.3 MP. It supports Bluetooth 4.0, DLNA, USB 2.0, Xperia Link and Wi-Fi and will be available in black, white and red when it becomes available in Q2 2013. Pricing is unknown.